This entry was posted in 90's Movies, Comedy/Drama, Movies that take place in the Big Apple, Psychological and tagged Comedy, Entertainment, Fran Drescher, Movies, Review, Robin Williams, Tim Robbins. Bookmark the permalink. 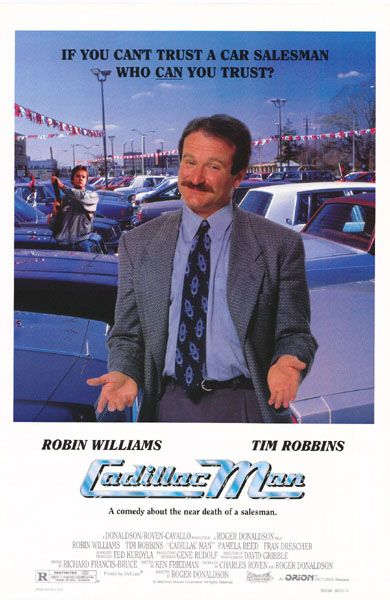 And the other, better used car salesman flick: Used Cars, with Kurt Russell and Jack Warden. I completely agree although this one wasn’t as bad as I thought it would be. Has a few interesting moments and Fran Drescher’s pooch is indeed memorable. Never heard of this. 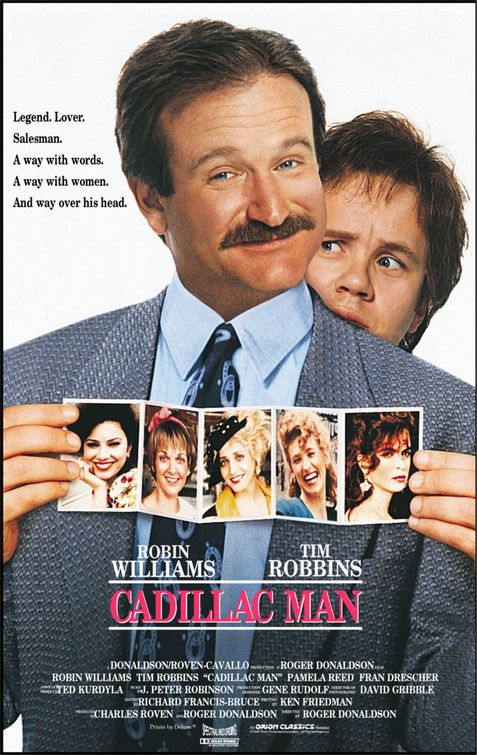 I saw “Cadillac” and thought it was a Steve Martin movie – didn’t he do one way back when with “cadillac” in the title or am I crazy? Nope he never did. Although he was in one called ‘Planes, Trains and Automobiles’ maybe that is the one you are thinking of.